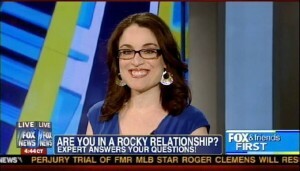 Viewers relationship questions were answered LIVE on air on FOX News Channel’s FOX & Friends First, by relationship expert – Dr. Karen Ruskin where she provided concrete advice during an interview yesterday with Patti Ann Browne entitled; Are You In A Rocky Relationship? If you missed this informative segment, provided below is the link as well as a documented summary/talking points. One viewer’s question was from a man inquiring how to decrease pre- wedding stress other than simply saying; “yes dear”. V.R.F. – The formula for pre-wedding stress stabilization. ‘Validate’ her feelings so her voice is heard. ‘Reassure’ her this is a celebration of which as a team you both will prevail and be ‘Respectful’ of her concerns. State the wedding and your ‘Future’ will be beautiful because we are together. Another question asked was from a woman who inquired when choosing a life partner should one listen to one’s head or one’s heart and whether to choose passion or peace. Heart and love often get confused with each other. Deciding who a life partner should be, use your head. Your head knows what love really is. Choosing just for passion is a drug that eventually dries up. Healthy passion is peace vs. choosing passion over peace. Trust and truly a life partner is a mature love and is peace. Choosing Passion vs. Peace typically infers drama which eventually leads to the end of a relationship not a life partner. The third and final question answered was how to have a happy marriage after 12 years. The 3 legs of marriage with consistency pay attention to: 1) emotional intimacy by having healthy communication with your spouse not at your spouse, 2) physical intimacy, and 3) sexual intimacy. Show your ‘Appreciation’ and be ‘Trustworthy’: with your words and actions. FOX & Friends FIRST airs Monday through Friday 5-6 AM. If you want to learn more relationship techniques and strategies to have a happy marriage and a healthy relationship, Dr. Karen’s Marriage Manual is available. Take a sneak peak and learn more about this book now or order your signed copy today.